The things that horrified the prophets are even now daily occurrences all over the world. There is no society to which Amos’ words [Amos 8:4-6] would not apply. Indeed, the sort of crimes and even the amount of delinquency that fill the prophets of Israel with dismay do not go beyond that which we regard as normal, as typical ingredients of social dynamics. To us a single act of injustice–cheating in business, exploitation of the poor–is slight; to the prophets, a disaster. To us injustice is injurious to the welfare of the people; to the prophets it is a deathblow to existence: to us, an episode; to them, a catastrophe, a threat to the world. 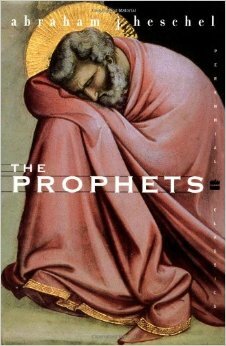 This book is a masterpiece study of the Hebrew prophets Amos, Hosea, Isaiah, Micah, Jeremiah, and Habakkuk. Mammoth in size, The Prophets was first published as a two volume set but is now sold as one. In the first half of the book Herschel goes beyond just a commentary of the text and delves into the heart of the prophet — What manner of man is he? What are his thoughts, emotions, and challenges? He shows the anguish of the prophet’s heart – torn between compassion for man and sympathy with G-d.
“Know thy God” (I Chronicle 28:9) rather than “Know Thyself” is the categorical imperative of the biblical man. There is no self-understanding without God-understanding. Rabbi Heschel writes in a way that is easy to read and can be well understood. However, at the same time, he challenges one’s thinking. His writing is so profound that, in order to absorb the fullness of his words, one needs to savor it word by word, sentence by sentence. Beyond a study, this book is deeply moving. 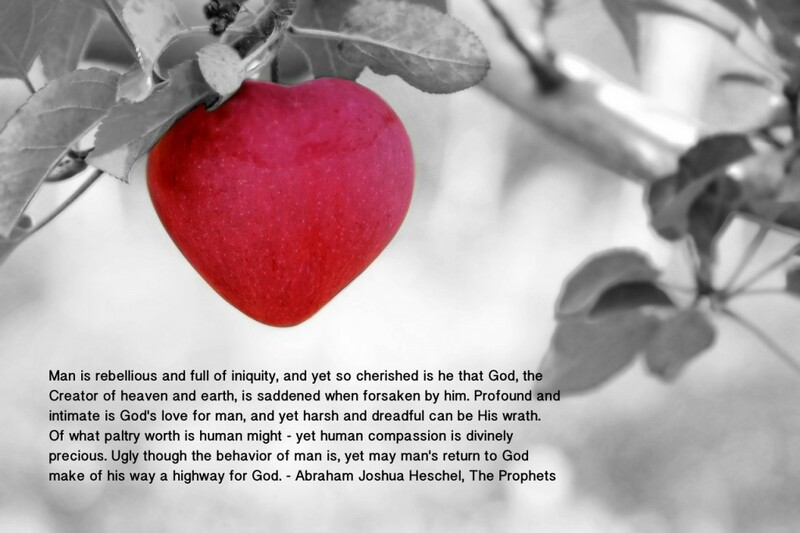 Heschel succeeds in bringing the compassionate heart and love of G-d more clearly into the reader’s heart. I am REALLY enjoying the writings of Abraham Joshua Heschel. Isn’t it amazing how someone who has passed away many years ago can have an IMPACT in modern day. Another great lesson in life…everything counts / matters. Thank you for posting! !